The former acting attorney general testified that the Department of Justice was not consulted on Trump’s Muslim ban executive order. Former acting Attorney General Sally Yates testified before a U.S. Senate Judiciary Committee on Monday, telling the committee that, in the first days of the Trump administration, she had advised the White House that national security adviser Michael T. Flynn was susceptible to blackmail. She also fielded questions from Senator Ted Cruz, who questioned her decision to go against Trump's proposed Muslim ban. When Cruz brought up the Office of Legal Counsel's determination that the order was legal, Yates said that their ruling ignored the updated statute and went against the Constitution. 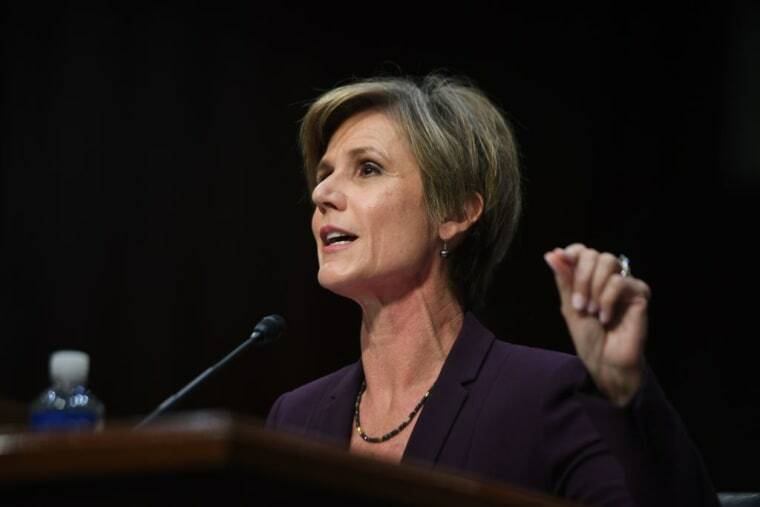 Yates was fired as acting attorney general in January, after refusing to defend Trump's executive order in court. See the clip from Sally Yates's testimony below.